VIENNA, AUSTRIA-As Iran and world powers negotiate a deal to lift international sanctions in exchange for curbing the Iranian nuclear program, economists say the deal could inject more than $100 billion into Iran's coffers. 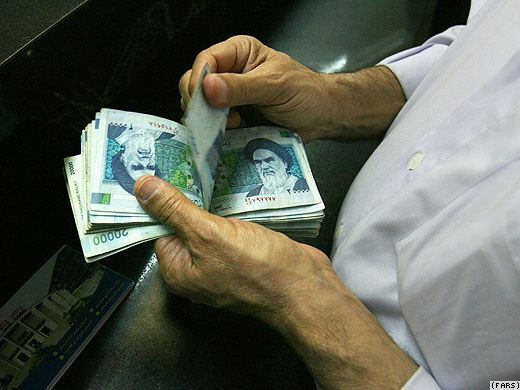 The money is not enough to entirely rescue Iran’s ailing economy, they say, but it may be enough to create an “economic momentum” to solidify the leadership’s power base. Iranian Foreign Minister Mohammad Javad Zarif is not at the Iran talks today, so analysts are taking a step back and asking: what if it really happens? In the past decade, Iran’s economy has been in turmoil, said National Iranian American Council research director Reza Marashi, and it is not just the sanctions Iranian negotiators are trying to end. “In addition to sanctions you have unemployment, inflation, you have poor contract terms that are offered to blue chip multinational corporations for foreign investors, you have an unstable and undefined legal atmosphere. So businesses that want to set up shop in Iran - there is no clear cut understanding of how you actually do that business,” said Marashi. He said about 20 to 30 percent of Iran’s economic problems are a result of sanctions that have frozen assets and limited trade. But in “post-deal” Iran things should get better, according to economist Bijan Khajehpour, who heads Vienna-based business consulting firm Atieh International. “I have no doubt that the government’s priority in the first instance would be to create an economic momentum on the one side to say, to clearly say, that the nuclear deal has produced dividends for the Iranian society, for the Iranian economy. But also with a clear focus on the 2016 parliamentary elections,” said Khajehpour. He said if sanctions are lifted, President Hassan Rouhani’s government will prioritize the most popular economic reforms to gain support in the polls for allied lawmakers next year. But Khajehpour estimates the government needs more than $120 billion to rescue key industries in Iran, and lifting sanctions will not cover the entire bill. He said the Iranian economy is in a “wait-and-see mode” that will end if a deal comes through. "The very first impact of a deal will actually be the psychological impact. So if there is a deal and if there is a psychological impact and the expectation that sanctions will be lifted and more money will be available, then the first reaction in the economy we will see will be in the housing sector, creating jobs and creating momentum,” said Khajehpour. But it may be difficult for the government to meet expectations, noted Iranian journalist Arash Azizi, who is covering the talks. “I think it would be an interesting case of expectation management. If you talk to my grandmother, she thinks that if the sanctions are lifted, that cousin that does not have a job will get it by Monday. And he is not going to," he said. Azizi said economic reform will take a long time after sanctions are lifted, but he says the deal will give Iranians hope that economic and political changes are on their way.